Window manufacturers offer a variety of window frames for the variety of different new and retrofit window installations. Choose the right window frame. 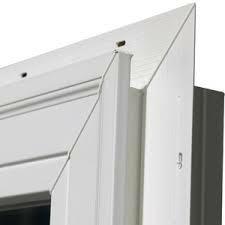 In most types of window installation, exterior window trim is an unnecessary and expensive extra to be avoided. Nail-fin frames are the most popular frame for new wood-frame construction. The most popular type of window frame is the nailing fin. Manufacturers designed the nailing fin for the most common type of new installation. The nailing fin attaches flush to the structural sheathing of the building. The frame of the nailing fin window protrudes beyond the nailing fin about an inch. The protrusion provides a place where the siding can dead-end into the window frame without needing exterior window trim. The nailing fin works fine for this type of application, unless you plan on adding insulated foam sheathing to the wall. Some window manufacturers now provide nailing-fin window frames with jamb extensions to accommodate exterior foam insulation. Vinyl brick-mold frames are popular for retrofit window installations and new installations in masonry walls. The brick-mold window frame has been popular for new and retrofit windows for many decades. Manufacturers designed brick mold window frames to give a finished look to a window installation surrounded by brick. However, many builders use the brick-mold frame for wood frame construction and window replacement. 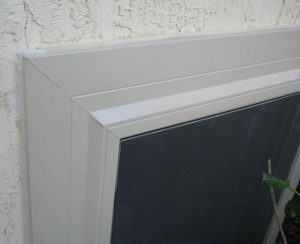 Vinyl windows with vinyl brick mold are popular for retrofits. The best vinyl brick mold has a removable slat that conceals the screws that hold the brick mold in the window in place. Flush-flange frames are designed for stucco and other flat exterior surfaces. Builders use flush-flange window frames with stucco exterior finishes. Flush-flange window frames are also appropriate for any kind of cladding that produces a flat surface. Block-frame window installation is versatile and allows window installation from indoors. A block frame window uses no added nail fin, brick mold, or flush flange. 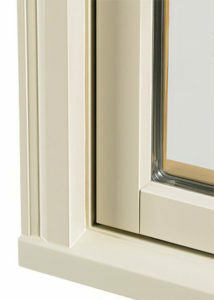 Therefore, installers fasten the window through the frame into the rough opening. Specialty screws, plates, or clips attached the window frame to the rough opening. The block frame window installation is the most versatile window installation option. 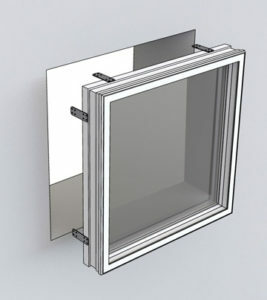 Also the block frame allows installers to install windows from indoors. You can save time and money if you select the right window frame. And just as important, the right window frame provides the best-looking and most durable exterior finish. I like how vinyl brick molds hide the screws that hold the window in place like you mentioned. I’m building a home and have to choose out the windows. I really like vinyl because it’s so durable.